Caption: These waterproof decals help fund manatee and sea turtle conservation efforts. Florida’s waters and beaches are not only popular with people, but are also key habitats for manatees and sea turtles. More of these iconic species live here than in any other state. The manatee and sea turtle decals, created by the Florida Fish and Wildlife Conservation Commission (FWC), are a fun way for people to support the research, rescue and management efforts that conserve these species. 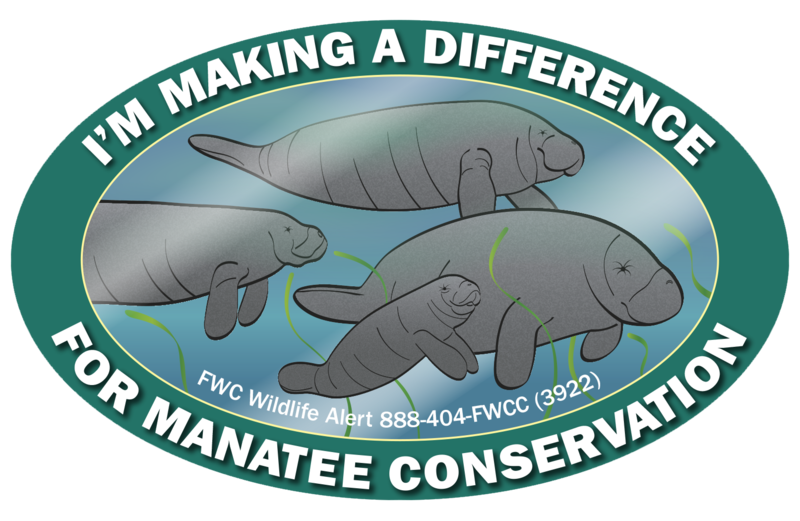 Every July, the FWC introduces new manatee and sea turtle decals that are available with a $5 donation. The waterproof decals are designed to look good on a vehicle’s bumper or the side of a boat. Get them when registering or re-registering a vehicle or boat at local tax collector’s offices across the state. Over 6,000 manatees swim in the state’s coastal waters, rivers and freshwater springs, and about 20,000 sea turtles nest each year on Florida’s Atlantic and Gulf coast beaches. The decals help fund manatee and sea turtle conservation efforts. For example, when someone calls the FWC’s Wildlife Alert Hotline at 888-404-FWCC (3922) to report an injured, entangled or sick manatee or sea turtle, FWC staff works with partners to respond and rescue the animal. The “I’m making a difference” manatee decal shows several manatees, including a mother and calf. The back of the decal notes that the manatee is now classified as a threatened species, rather than an endangered species, under the federal Endangered Species Act. The U.S. Fish and Wildlife Service announced this change in early 2017, a signal that efforts to conserve the state’s marine mammal are succeeding. 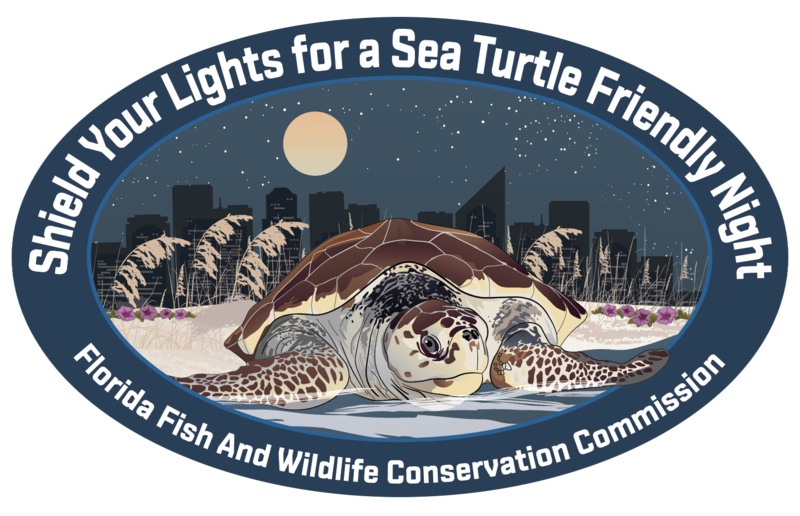 The “Shield your lights for a sea turtle friendly night” sea turtle decal shows an adult female loggerhead on the beach against a background of darkened buildings. The back of the decal reports nearly 97,000 loggerhead nests were counted during the 2017 sea turtle nesting season. It reminds people to manage beachfront lights to protect nesting and hatchling sea turtles during nesting season, which continues through the end of October, and offers other tips on helping sea turtles. Learn more about how to help conserve manatees and sea turtles at MyFWC.com/Manatee and MyFWC.com/SeaTurtle, where you also can click on “Decals” to order new or past editions of decals. Go to BuyaPlate.com to purchase a “Save the Manatee” or “Helping Sea Turtles Survive” license plate that also supports those species.